How Important Is it to Remove Plaque Each Day? Daily plaque control is key to a healthy smile. The problem is most people are not very effective or consistent with removing plaque each day. Bacterial plaque is the #1 cause of periodontal gum disease and tooth decay. Plaque is a sticky film of bacteria and is the major cause of adult tooth loss which affects three out of every four adults. Unfortunately, there is no cure for plaque. Plaque forms constantly on the teeth, so it must constantly be removed and killed. The science of plaque growth and its effect on both teeth and periodontal health is a growing field. The days of blaming a patient for not brushing or eating too much sugar are over. The mouth has a complex chemistry. Some of this chemistry the patient can control, some they can not. 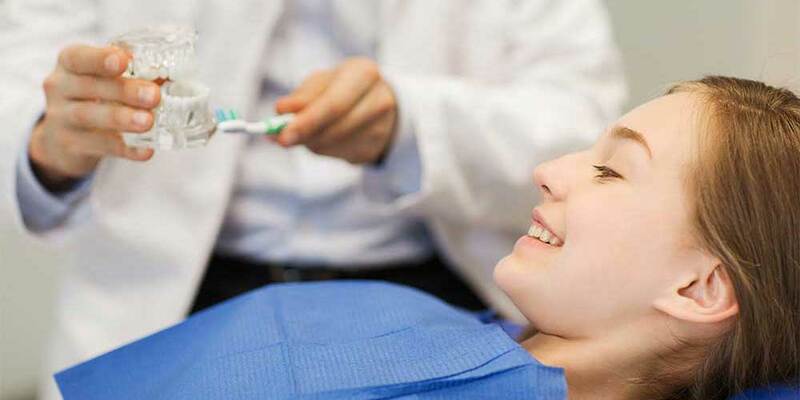 There is no one magic key to oral health that fits all patients. Dr McOmie is at the forefront in the field of cariology. Dr McOmie strives to explain to the patient their own specific need. Decay and periodontal disease are both caused by bacteria, but they act in different ways. Some patients have deeper grooves or poorly formed enamel. Some patients have poor salivary flow or highly mineralized saliva. All of these things must be considered to tailor an oral hygiene plan that works for each patient. Every patient should be brushing twice daily for 2 minutes and flossing at least once daily. A fluoride rinse is a great idea for most everyone, but may not be enough for some patients. We are able to offer arginine tablets, fluoride trays, xylitol gum or lozenges to patients that need them. One of the things that really sets Dr McOmie’s office apart is our drive to help the patient understand their oral hygiene needs and set a customized routine in place. We really believe that education and prevention are part of our job. Call us today, so we can help you achieve and maintain optimal oral health.